Thanks to an incredibly long life, one Jackson Hole bald eagle helped her species recover. Big Momma was the oldest known tagged bald eagle west of the Mississippi River, and the third-oldest tagged bald eagle ever confirmed anywhere in the country. When she was born, her species was on the Endangered Species List. 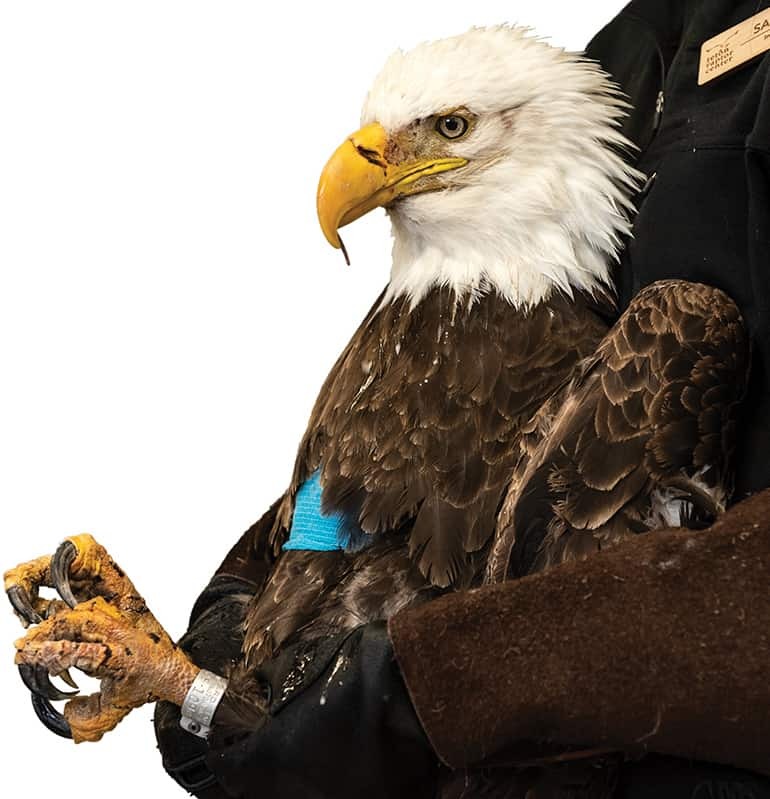 As Warren cared for soft-tissue injuries to the bald eagle’s wrist and feet, center staff quickly began extrapolating on the role Big Momma likely played in repopulating the country’s national bird from her nest up on Saddle Butte. “When she was a chick in nest, her parents were one of [about] four hundred pairs in the Lower 48, and now there are thousands [of pairs],” Warren says. “She probably had nineteen years of mating and one to two chicks per year, making a huge impact on the population.” While there is no telling exactly how many offspring she had, biologists speculate it could be in the hundreds if you include eaglets, grandeaglets, and great-grandeaglets. There’s no doubt that Big Momma’s babies helped bald eagles get removed from the U.S. government’s list of endangered species (this happened in 1995) and, in 2007, removed from the list of Endangered and Threatened Wildlife in the Lower 48 states. 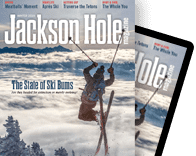 Over her long life, she saw the reintroduction of wolves, and had a bird’s eye view of growth in Jackson Hole.